Women Who Perpetrate Relationship Violence examines the causes and consequences of violence initiated by women against their partners. 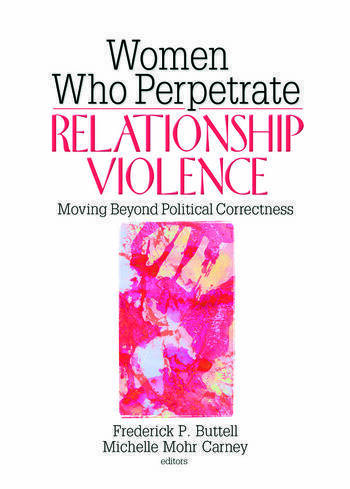 This unique book fills the void of available literature on domestically violent women, taking a frank look at the issues surrounding female batterers who are the primary aggressors in their intimate relationships. Contributors write candidly about the similarities and differences between violent women and violent men, how to develop effective interventions, existing theories on the development of abusive behavior in women, and society’s response to violent women. The counseling and psychological community has responded to the problem of domestic abuse and violence against women. But very little has been done to address the issues of domestic abuse and violence committed by women. Women Who Perpetrate Relationship Violence presents innovative original research that focuses specifically on women as offenders, rather than simply adapting programs created for male batterers to women. The book includes epidemiological studies, secondary analyses, personality profiles, and a study of women entering a 16-week, court-mandated, batterer intervention program (BIP). Women Who Perpetrate Relationship Violence is an invaluable professional resource for psychologists, social workers, and counselors.